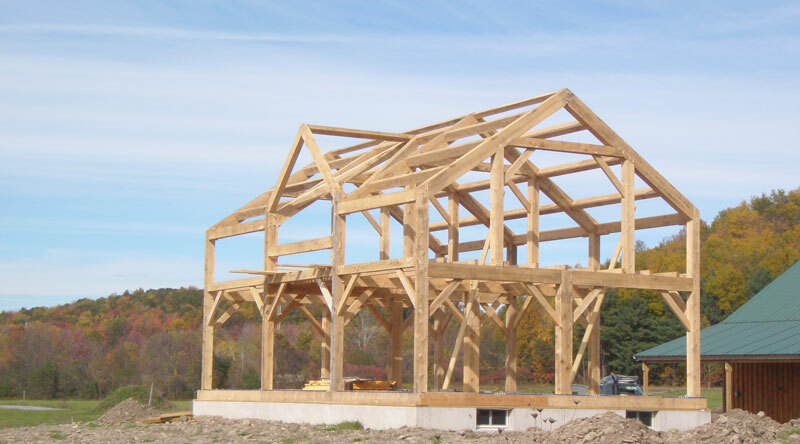 Most of our customers find that one of the most rewarding aspects of a custom timber frame project is the opportunity to put their personal mark on a project. Indeed the active involvement of our clients in the design process is one of our favorite aspects of building timber frames as well. The following articles will hopefully help you through this rewarding experience with us and/or your design professional. This section will be updated regularly so you may might want to consider to subscribing to our weekly or monthly updates on our subscription page. This apsect of your timber frame project is quite involved so we encourage all of our potential clients to contact us early in their project desing phase either by email. Sometimes referred to as Russian or Finnish stoves/fireplaces, masonry heaters have a long standing tradition as the favorite heat source in some of Europe’s more frigid countries. The principles behind masonry heaters are quite simple and include; high temperature combustion for increased efficiency, and large thermal mass for heat storage and continuous radiation. A small hot fire is burned once or twice a day and hot gases are directed through channels which allow the gas’s heat to be absorbed by the surrounding masonry. 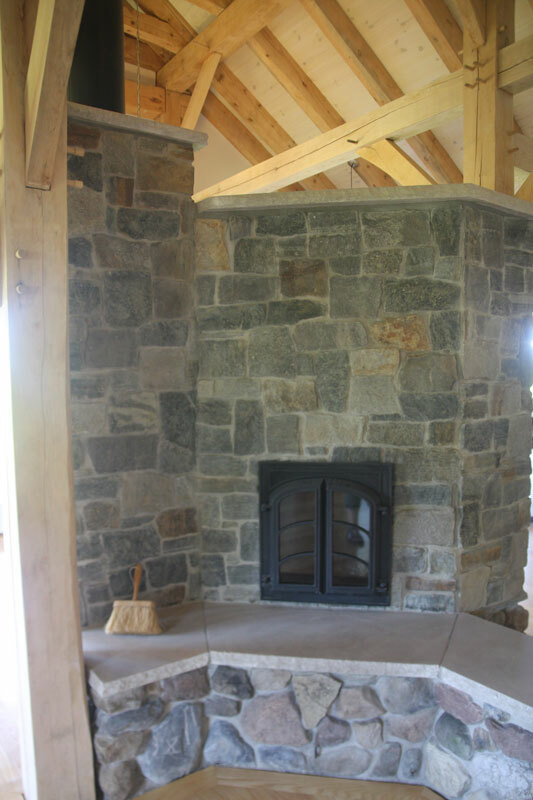 The masonry then radiates heat evenly and continuously for 12-24 hours into the surrounding space. With this system combustion efficiency approaches 90% resulting in drastically less pollution such as tar or creosote; this also means virtually no risk of chimney fires and means maintenance such as chimney cleaning is rarely needed. Since most of the heat is absorbed by the masonry fuel efficiency is also increased requiring far less fuel during a heating season. A recently complete project will require between 1-2 full cords of wood to fully heat a home. One popular addition to many masonry heaters, is integrating a bake oven into the heater. 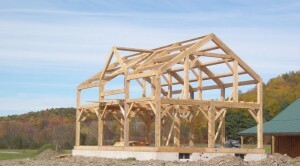 One of the most daunting tasks about beginning your custom timber frame project, is knowing exactly where to start. Should you start designing your dream and consider the budget afterwards? Or should you start with the budget and work backwards? Do you start with the timber frame or the floor plan? In a floor plan, do you start with personal space and then move on to public space? How about indoor vs outdoor and even transitional space? Do you design the frame and then integrate mechanicals or the other way around? How will the enclosure system affect the frame, mechanicals, and windows?